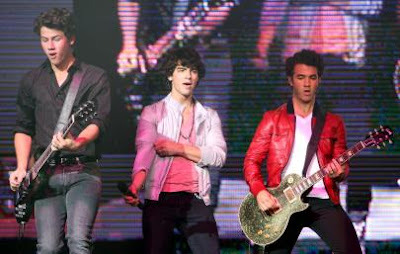 The Jonas Brothers rocked out in Paris, France on June 14. The JoBros tweeted, Amazing show in Paris! We love you guys!!! Midnight tomorrow night. ALBUM RELEASE!!! Tune in Monday, Aug. 10 (8:00-10:00 PM ET/PT) on FOX for the show.